The Streamlight 88031 Tactical Flashlight has been a consistent 5 star product based on feedback from actual users. It is compact, strong, and durable. Aside from being a popular sports flashlight, it is also known to be used by persons of authority like firefighters and police. The price is reasonable considering the features that include 3 functions and the latest LED technology. The Streamlight 88031 Tactical flashlight is a sports flashlight that sells in the market. It is also known as the Streamlight ProTac flashlight and comes from a series of sporting flashlights. This particular model is 2L with white LED and is about the size of a marker. It has a clip for handy storage and uses the 2AA, 3 volt Lithium batteries; model CR123A (included with flashlight.) The batteries are disposable since Streamlight does not use rechargeable batteries in any of their products. In fact the company highly discourages using other types of batteries than what is recommended because it can damage the components and even be dangerous with substandard lithium batteries. Streamlight calls itself a “hands-on” company that was established in 1973. They are actively involved in firefighter training, law enforcement use, sports activities like fishing, hunting, and many other outdoor sports, and have managed to rack up an impressive reputation for its safe lighting tools. Their flashlights are guaranteed to be safe even around explosive gases and highly toxic atmospheres. The company believes in its products so much they are willing to offer limited lifetime warranty. The 88031 Tactical flashlights are small being a little over 7 inches long and weighing 4.8 ounces but its light is bright and solid from the powerful C4 LED. It has 3 program modes: the default is the high-strobe-low but you can program it to be only on high mode or only on low mode. To switch modes and function, there is a push button on the tail switch making it possible for a convenient one-handed operation. All Streamlight flashlights have serial numbers so it is easy to identify a real versus a fake. It also meets the European Community standards on being energy efficient and observed certain safety standards. The new regulations were implemented this 2013 and applicable to all LED lighting devices and household lighting. The high points of this model are that it is well-built and can handle a lot of wear and tear. The light is bright and has great throw. The C4 LED technology has a lifetime of 50,000 hours. On high mode, you get 260 lumens with a candela peak beam intensity of 5,600. With low mode, you have 13 lumens and a candela peak beam intensity of 300. On the downside the clip tends to slip and the flashlight gets warm after keeping it on for some time. The strobe function is also a frustrating when you want to switch from high to low or vice versa. If you run on high mode, you enjoy 3 hours while on low mode the batteries will provide you with 50 hours use. Strobe mode has about 6 hour’s battery life usage. Structurally, this Streamlight flashlight has an O-ring sealed impact-resistant glass with an anodized aluminum casing. It is waterproof for 1 meter and 30 minute duration. It claims to have an anti-roll head and an unbreakable pocket clip. It is also built to withstand a 2 meter drop. As far as emergency and sports equipment is concerned, the Streamlight Tactical Flashlight is value-for-money, durable, and has been tested by professionals from different fields and has come out with impressive feedback. Since it follows U.S. and European standards, you know you will be getting a good product especially with the limited lifetime warranty. Also, unlike more flashlights, this one has batteries included. Warranty: Limited lifetime for the aluminum tube. The bulb will only be replaced if found to be defective. Other parts are guaranteed for 2 years except for normal wear and tear and abuse. If you’re in the lookout for a tactical flashlight that can provide maximum brightness while searching in a dark setting or clearing a room, your best bet is the Streamlight 69260 TLR-1 HL 630 Lumen Rail-Mounted Tactical Light. This comes convenient when searching immensely broad areas and identifying who or what is within the vicinity. As Streamlight puts it, nothing cannot be illuminated with this High Lumen light source. 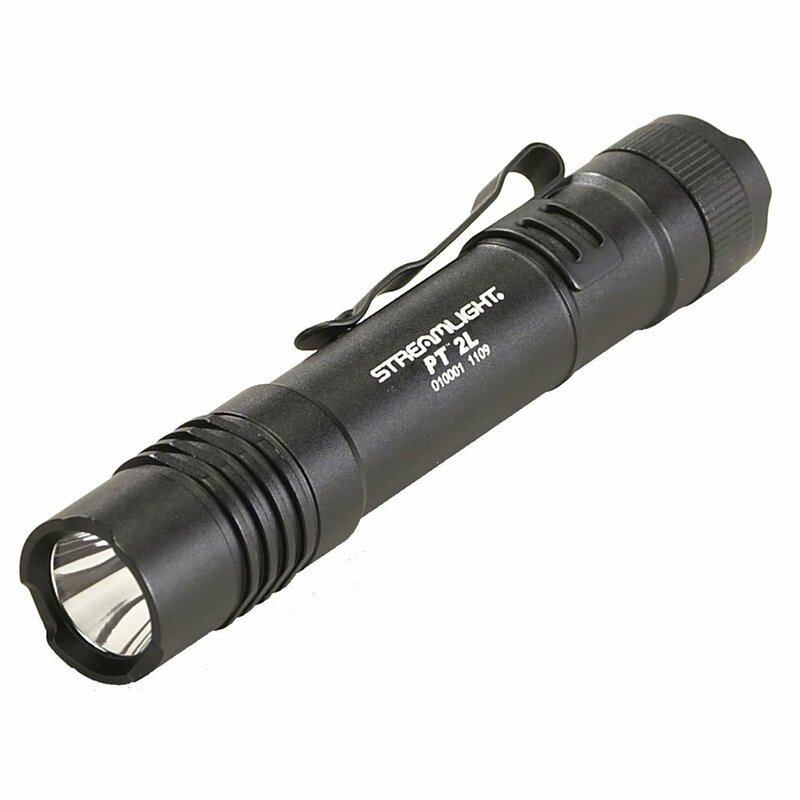 Compact, lightweight, and powered with high-lithium battery – these are the main selling points of the Streamlight 69260 TLR-1 HL 630 Tactical Light. The HL (High Lumen) model is just one of the 9 models offered by Streamlight; featuring maximum brightness that is ideal for low exposure situations. The Streamlight TLR-1 HL flashlight completely delivers what it is made for. Due to its concentrated beams, it light up an extensive area. Consistency and quality are also a bonus, since it has current regulating mechanism. By tapping two times on its paddle, the strobe is easily activated and configured by the user. Enabling or disabling takes only a few seconds. The two lithium batteries are long-lasting enough to provide one and a half hour of continuous illumination. Moreover, the batteries come with serial numbers for identification. As for the price, the flashlight is worth every penny that you’re going to spend with it. While a bit pricey, quality, longevity, and quality of illumination could be well worth the expenses in the long run. One proof to this is Streamlight TLR-1’s purely high ratings based on performance, durability and design, proving that it is indeed an outstanding investment. The concentrated beams of the TLR-1 makes targeting in the dark a breeze. In comparison to other models, the 69260 stands out. It may be a tactical light, but it also comes in handy in situations where mounting the light is not necessary. Simply put, whether general use or not, the TLR-1 HL delivers the illumination you need. 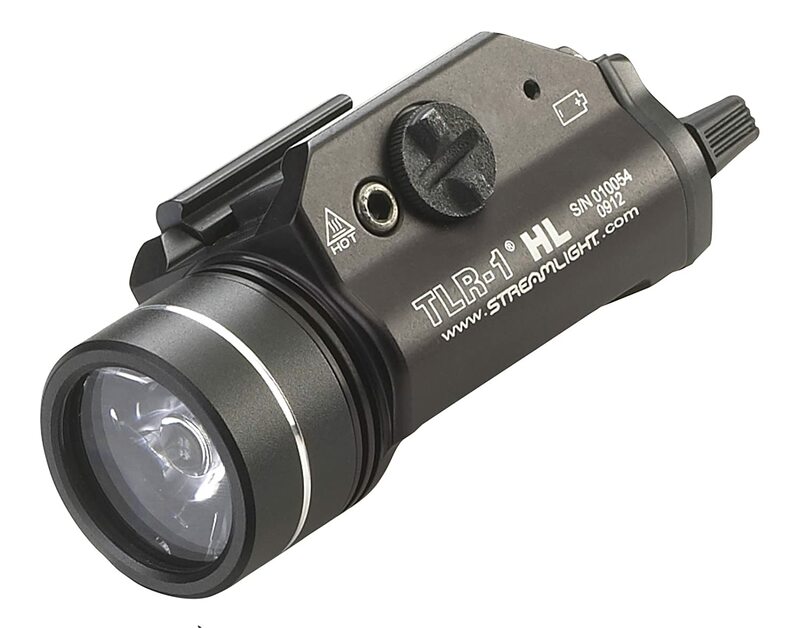 So far, there has not been negative reviews about the Streamlight TLR-1 HL. One complaint is that some people had difficulty in using the strobe function, which in reality depends on the user themselves. Some find the design quite intimidating. But, as stated, this depends on the individual’s preferences. Based on evaluations and reviews posted in the web, Streamlight TLR-1 HL is guaranteed to cater best performance even on the darkest site there is. In addition, the styling is different from typical tactical flashlight in the market. The strobe is easy to use and user friendly. Anyone can rely from its 3-volt battery, especially in places where there is no immediate power source. Finally, the size and weight are also a factor. It does not go off balance when mounted, and is convenient to hold when not. In general, the Streamlight 69260 TLR-1 HL 630 Lumen Rail-Mounted Tactical Light is considered a good tactical light that is dependable, easy to carry and use, and reasonably priced, considering all the features we’ve stated earlier. The cost is not an issue, especially if the flashlight is as good as this Streamlight Tactical Light. The Streamlight 88040 Pro Tactical Flashlight is one of the rated flashlights with 4.8 / 5.0 customer rating – and most of this feedback is because of its 10 tap programmable system, C4 LED technology, high 600 lumen beam, and a reach of over 250 meters. It is shock proof, is waterproof (1 meter/30 minutes), and comes with limited lifetime warranty. As far as tactical equipment, the ProTac is a handy and powerful tool that’s used by emergency and law enforcement officers, for serious sports, and as a great all-around tool. 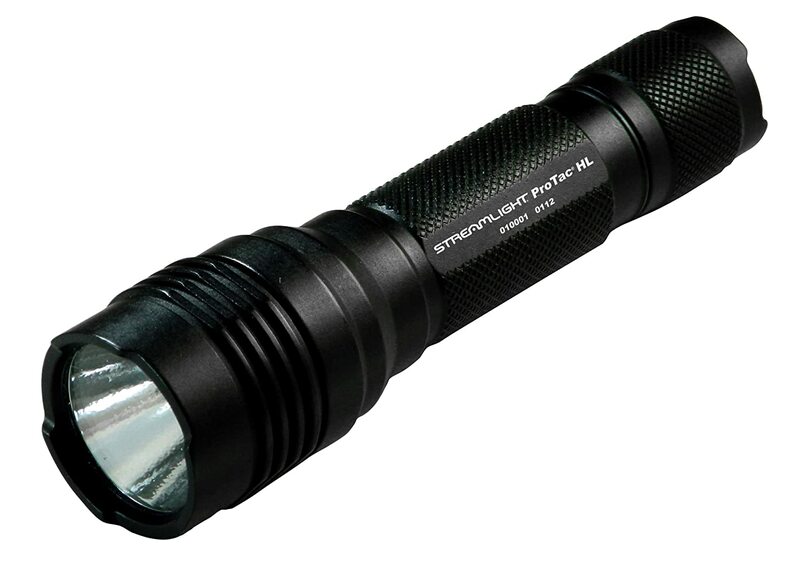 The Streamlight ProTac 88040HL LED torch is one of the top-rated flashlights across many websites and reviews. It is a LED flashlight that can be programmed 10 different ways with maximum of 600 lumens (16,000 candela peak beam intensity), 1 hour runtime, and a beam that has a range of over 250 meters. The torch also has three modes: High, Low, and Strobe. At Low mode, the candela peak beam intensity is at 800 with 18 hours runtime. To switch modes, double click the button which is a little unusual with similarly-priced flashlights. It is being sold and usually available at a lower price and with a free shipping in websites like Amazon. This particular flashlight uses the C4 LED technology. This means that maximum output is consistent up to the time the battery needs to be replaced. It is waterproof of up to 1 meter (IPX7) and has the anti-roll face cap. Of all Streamlight products, ProTac is their brightest. Although the 88040 doesn’t include any weapons mount, it will fit many of the popular third-party mounts. It comes with with a removable holster and pocket clip. It is ideal for people who work in emergency services, security, law enforcement, and those who love outdoor night sports, DIY projects, and for general house and vehicular use. Part of its appeal is the one-handed operation to switch modes and the tap programmable switch which requires the user to simply tap on the switch to select a program or mode. Compared to other LED flashlights of similar prices like the GX2, the beam spread of the ProTac is wider which makes it perfect for up close handiwork. On the downside, it won’t do such a good job if you are trying to illuminate an area more than 100 feet away. The casing of the ProTac is black anodized machined aluminum which makes it heavier than the plastic LED flashlights. It also gets warmer faster than the plastic variety although wear and tear – the ProTac is just as sturdy and tough. One downside to the ProTac is its pocket clip. The pocket clip tends to be too tight for comfort and it would take some work with a pair of pliers to loosen it a bit. Also, the flashlight has a Pulse Width Modulation (PWM) set-up which means that the LED pulses quickly (130Hz) and often looks dim. This is okay on the strobe and high mode but on the low mode can slow down the frequency too much. In terms of brightness, the customer reviews of the ProTac say the beam is ‘wicked bright’, ‘insanely bright’, and ‘mad bright’ – which seems to translate to its 4.8/5.0 ratings and happy customers! The Streamlight 88040 Pro Tactical flashlight is a good buy: Not only will it shine brighter than many other similar flashlights in the market, it has the right combination of features that will serve your needs.